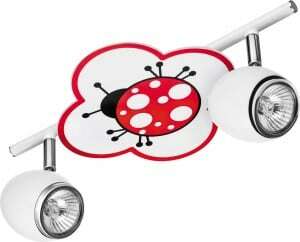 Thank you for submitting your question about Plafon children&#39;s lamp Biedronka - Fly white / red 60W E27 40cm. 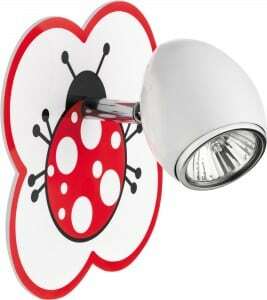 Baby lamp Ladybug from the Fly series with a colorful decoration. 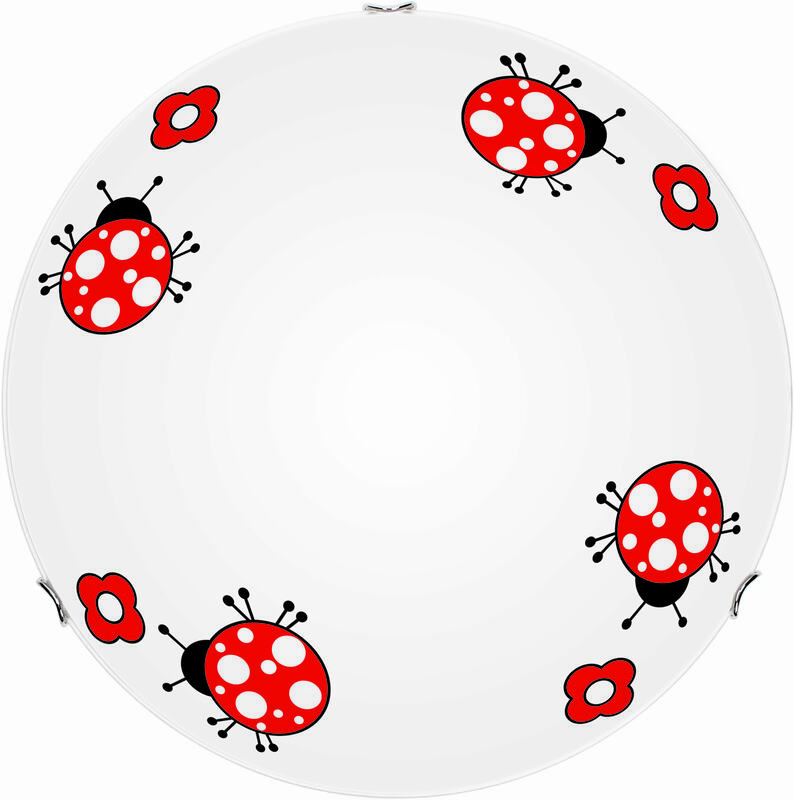 Plafon created for our little nature lovers. 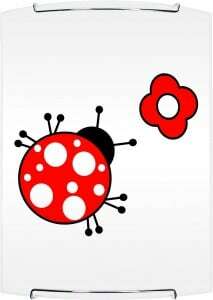 The theme of the ladybug will stimulate the imagination and be a nice touch in the children's room. A colorful, cheerful lamp in a child's room will decorate the interior and give it a unique character. 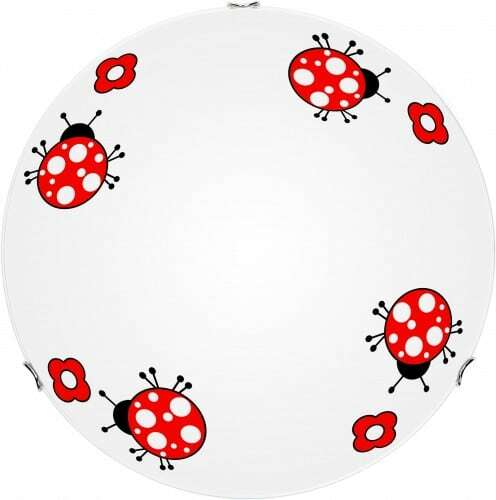 The presented ceiling has a diameter of 40 cm, a double light source and is made of white glass with chrome finishing elements. It can be mounted on a wall or ceiling. 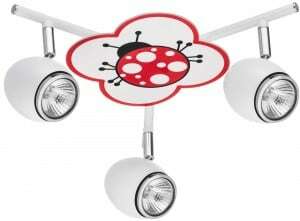 Suitable for bulbs with E27 base with a maximum power of 60W.